Most furniture stores don't stay in business for 46 years without doing some things right. That secret of long term success in business is treating the customer right. We value our customer and go out of our way to ensure that your furniture shopping experience is a memorable one. 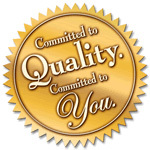 Quality products with good service has been a staple for us since 1970. 144,000 Square feet of fine home furnishings under one roof. We travel the country and the world to find the finest quality furniture at the best prices. Our selection is larger than any other store in Southern Middle Tennessee, North Alabama, & East of the Mississippi. Our professional sales team is always here to help. We have very little employee turn over here at Story & Lee. This leads to better trained, more experienced sales people that know the products and manufacturers. Our sales people are not pushy and are always right around the corner to assist you at a moments notice. Our delivery and setup is always free to our customers. We have a fleet delivery trucks that make over 500 deliveries every week. Our trained delivery personnel will ensure that your new purchase arrives at its destination in perfect condition. This is not your normal threshold delivery. Our staff is trained on proper setup and will display your item in its final destination just as you saw it in the store. We have over 10,000 pieces in stock and ready for immediate purchase and delivery. Our 144,000 square feet store is stocked with all the latest trends and looks that would compliment your home and make a statement to friends and family members. We would expect quality if it were going into our home and you should too. We carry only the best quality home furnishings at great prices. We visit manufactures facilities and showrooms on a regular basis to see the newest innovations, trends, and manufacturing practices. This also helps our sales staff to be trained on each quality vendor so that they can answer all you questions. Our team is dedicated to bringing you the best furniture and home furnishings from the leading manufacturers in the industry. Our buying team scouts out the hottest market trends, listens to feedback from our customers, and searches the world for vendors and suppliers that can meet the expectations of our customers. In addition to our highly trained Home Furnishing Consultants, Story & Lee is proud to employ many very talented Interior Designers. It's your living space, your lifestyle, your ideas. We want to fully understand your vision and help you make the right home furnishing decisions. Our Interior Design service is offered at no charge to assist you with everything from accurate measurements and furniture layout to selecting styles and colors. This service is just another way that Story & Lee Furniture tries to make your shopping experience enjoyable and your life a little easier. Our size and stellar business reputation for over 40 years gives Story & Lee Furniture tremendous buying power. We are committed to providing the absolute lowest price and best total value on the quality furniture we sell. We guarantee that you cannot make an identical furniture purchase, with comparable services, terms, and conditions for a lower price anywhere in our market area. Our delivery fleet makes over 500 deliveries each week to many areas in Middle Tennessee, North Alabama, Eastern Mississippi, and more. We service cities such as Nashville, TN - Huntsville, AL - Florence, AL - Columbia, TN - Franklin, TN - Athens, AL - and many more.